Starbursting galaxies are dramatic, but they may not be as important to the universe’s global star formation history as the more common spirals with their slow but steady stellar output. 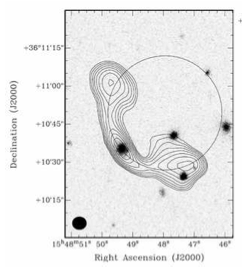 Freeland & Wilcots (2011) present observations of seven “double bent” radio galaxies which they use to measure the density of the intergalactic medium in galaxy groups. 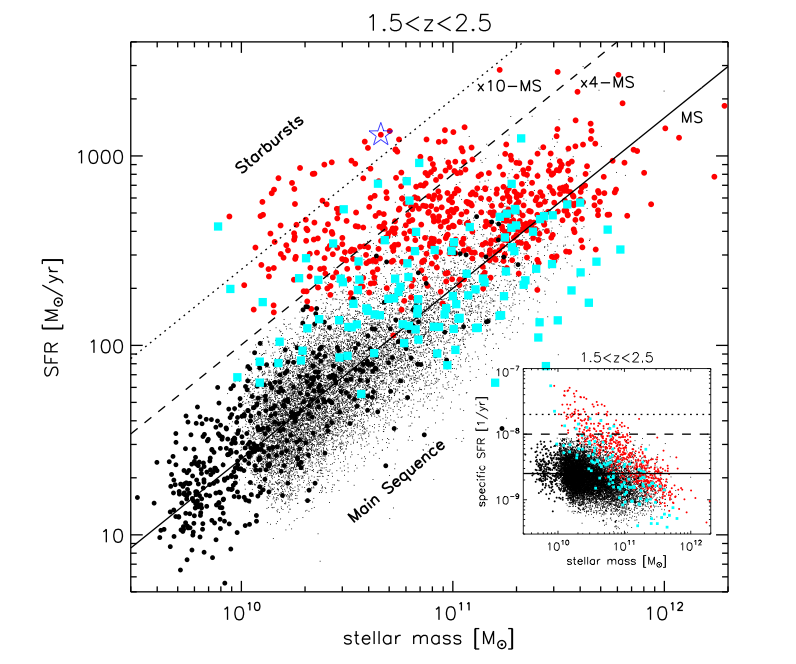 They use these observations to draw conclusions about the disruption of dwarf galaxies and the baryon content of these groups. Lai et al. 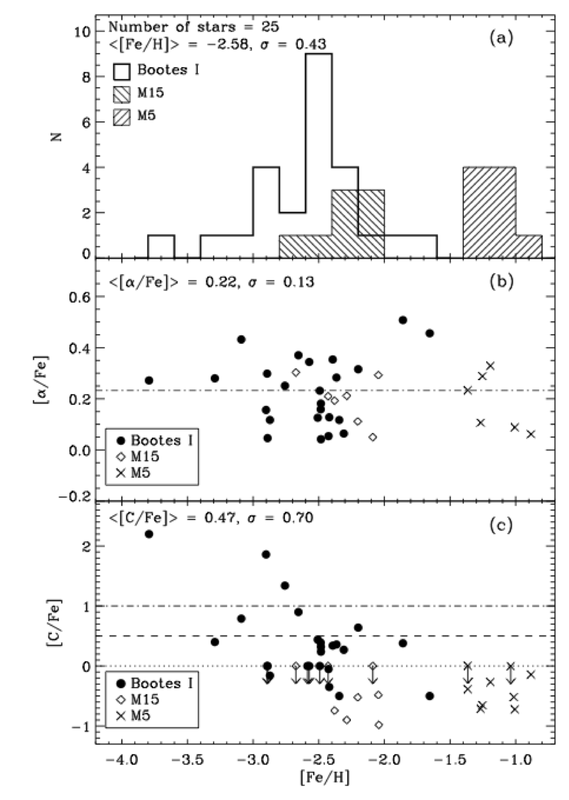 use spectroscopic observations to determine the metallicity abundances of stars from the Bootes I dwarf galaxy, in order to better understand the formation history of the Milky Way. Ribaudo et al. present observations of a low-metallicity gas system and associated galaxy that they argue provide evidence for what is known as “cold mode accretion”, whereby baryons fall to the center of a dark matter halo without being shock heated. Using measurements of the projected correlation function, Allevato et al. study the evolution of X-ray selected, active galactic nuclei (AGN) in order to help understand how these massive, central black holes are triggered and where they fit in a larger cosmological framework.